propaganda, the preposition of Akhanda Bharat is bound to unsettle some mainstream Marxist pre-notions about India I; e Bharat is a collage of multiple nations forced pasted on the chart paper by the British. So let us look at what counter arguments do we have against this notion? Let’s take a look at the ancient literature corpus of Bharat and for this case let us look into Vishnu Puran, which is one of the eighteen Mahapurana’s say about the geography of Bharat. Which can be understood as, whenever there will be a decline of Dharma and increase in Adharma, then I will take birth. For protecting the good from the evil and to re-establish Dharma, I am born in every Yuga again and again. Now taking this Shloka for instance, it reaffirms our previous argument that the notion of Bharat as a whole existed from atleast the time when battle Mahabharata occurred and that Dharma didn’t had the Hindu prefix. 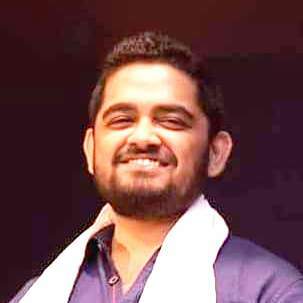 Dharma here can be understood from the phrase “Dharyati Eti Dharma” or to maintain is dharma, delving deep into this esoteric phrase we can arrive, at it, to be the divine duties that one has to maintain or uphold e.g. : duties of a son/daughter towards his/her parents as part of Putra-dharma. Similarly, duties as a father, daughter, wife, brother, son and as a human being to all the creation can be collectively called as Dharma, hence the universality of the Dharmic world view is beyond comprehension of a Macaulay educated and Marxist influenced mind. To put it in simple words, the word Hindu to a large extent signifies the popular culture or worldview of Bharat and those who believe, respect and practice it are in the true sense Bharatiya or Hindu. The words Bharatiya and Hindu are interchangeable and both can be used interchangeably without distorting the intent and sentiment attached with them. Since, the meaning and intent of the words Bharat and Hindu has been established, now let’s try to understand the genesis of the Hindu Pakistan jibe that the Nehruvians and Marxists often take to give a communal and anti-minority colour to RSS and BJP. The legacy of hypocrisy and appeasement that is at the core of a political Hindu-phobia can be traced back to Nehru, who in an attempt to consolidate his power and authority within congress first demonized the RSS as an theocratic communal force and then whoever even minutely disagreed with his idea of Minoritism or his position in the congress, Nehru would simply delineated them as RSS sympathisers and any form of dissidence would be eliminated after maligning his loyalty in the party. This is a time tested formula of the Gandhis and whenever a threat to the succession of a Gandhi to the congress throne arises, so the debate of Hindu terror or Hindu Threat to secularism also arises. The record number of election debacles that Rahul Gandhi has secured for his political marksheet and likes of young Poonawala raising their voices against the legitimacy of Rahul Gandhi’s ascendance to the Congress throne, the Hindu terror debate and Hindu-Pakistan jibe is likely to find more space in the debates across the socio-political sphere fuelled by Gandhi family loyalists. 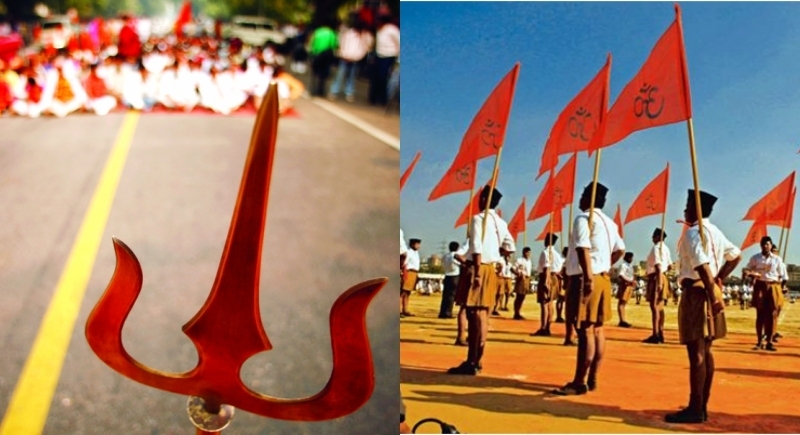 As for the term Hindu Pakistan that congress is propagating in an attempt to malign the Hindu worldview is actually a boomerang to their attempts, for it will only give space for more debate on the essence of Hindu worldview I;e Hindutva and once it percolates throughout the spheres of this nation, people of Bharat, as well as cadres of RSS and BJP should actually accept this Jibe of Hindu-Pakistan as an compliment. Moreover even if Pakistan can ever reform itself to be on the lines of a Hindu worldview then it makes a strong case for all Indians to aspire for a Hindu Rastra, thus removing the narrow mentalities of Majority and Minority apparently prevalent in the nation at the behest of a Nehruvian legacy I; e discouraging certain sections of communities in India from assimilating into the continuous civilizational discourse that is being a Hindu above all binaries.